Recent statistics show that in 2009, an estimated 763,000 children were determined to be victims of abuse or neglect. As in prior years, neglect was the most common form of child maltreatment, but victims also suffered from physical abuse, sexual abuse and psychological maltreatment. And an estimated 1,770 children died. The numbers tell the bittersweet story of child abuse in America: although the numbers represent a steady decline over the last three years of abused and neglected children, even one abused child is one too many. However, the decline is good news, and child advocacy centers ("CACs") across the nation are an important part of this success. CACs intervened in some 267,000 child abuse cases last year, and provide over 519,000 individuals with child abuse prevention training - clearly, the dual approach of intervention and prevention is working. Nonetheless, crimes involving children as victims and/or witnesses are among the most commonly underreported. And so, we must continue to focus on education as the key to reaching a far greater number of victims and potential victims. Knowledge is our strongest weapon. In the fight against child abuse, knowledge is our strongest weapon. The more you know about it, the more you can do to help those who have already been victimized and to prevent it from happening again. NCA encourages you to learn more about child abuse and the programs in your community and to pass that information on to those around you. Start with your own family and your own community. Help teach children about safety and raise awareness in your community about child abuse. Learn more about internet safety, and pass this knowledge on. And volunteer your time - no gift to your community is more valuable than that. Visible signs of physical abuse may include unexplained burns or bruises in the shape of objects. You may also hear unconvincing explanations of a child’s injuries. Abuse can lead to many changes in a child’s behavior. 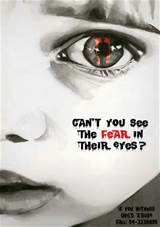 Abused children often appear scared, anxious, depressed, withdrawn or more aggressive. Returning to earlier behaviors... Abused children may display behaviors shown at earlier ages, such as thumb-sucking, bed-wetting, fear of the dark or strangers. For some children, even loss of acquired language or memory problems may be an issue. Fear of going home... Abused children may express apprehension or anxiety about leaving school or about going places with the person who is abusing them. Changes in eating...The stress, fear and anxiety caused by abuse can lead to changes in a child’s eating behaviors, which may result in weight gain or loss. Changes in sleeping...Abused children may have frequent nightmares or have difficulty falling asleep, and as a result may appear tired or fatigued. Changes in school performance and attendance...Abused children may have difficulty concentrating in school or have excessive absences, sometimes due to adults trying to hide the child’s injuries from authorities. Lack of personal care or hygiene...Abused and neglected children may appear uncared for. They may present as consistently dirty and have severe body odor, or they may lack sufficient clothing for the weather. Risk-taking behaviors... Young people who are being abused may engage in high-risk activities such as using drugs or alcohol or carrying a weapon. Inappropriate sexual behaviors... Children who have been sexually abused may exhibit overly sexualized behavior or use explicit sexual language. If you would like for someone to come and speak to your group about Child Abuse, please give us a call. We will schedule a time to meet with you.